According to the National Retail Federation, about 154 million shoppers made purchases at either brick and mortar stores or on ecommerce sites over Cyber Weekend. Want a deeper view? Here’s what we saw across our clients’ performance marketing channels over Cyber Weekend, and how you can use our learnings to finish the year with a bang. Consumer Confidence is Up—Affiliate revenue increased by 24% YoY, largely due to an increase of about 20% in Desktop revenue. What’s so special about Desktop? Typically, orders placed on Desktop have a higher AOV than those placed on Mobile—and that’s exactly what we saw. Over Cyber Weekend, consumers were thoughtfully engaged in and financially committed to their holiday purchases. That’s ‘Cyber Weekend’ To You—Retailers might have separate Thanksgiving, Black Friday and Cyber Monday promotions, but consumers see one long holiday weekend. Every day between the Sunday before Thanksgiving to Cyber Monday, experienced a YoY revenue lift. Following this trend, early Cyber Monday promotions shifted sales to the weekend. As expected, Thanksgiving Day experienced the largest YoY improvement with a lift of +79% while Cyber Monday saw the smallest improvement (+25%). Early in the week, Affiliate held a larger share of traffic from paid channels, then slowly declined as the week progressed. Ultimately, Affiliate accounted for 42% of traffic driven by paid channels (+42% YoY) but only 32% of revenue driven by paid channels (+32%YoY). The inverse was true for Paid Search, which held a smaller share of traffic early in the week, then slowly increased to drive 39% of traffic (+37% YoY) and 45% of revenue (+25% YoY) from paid channels. 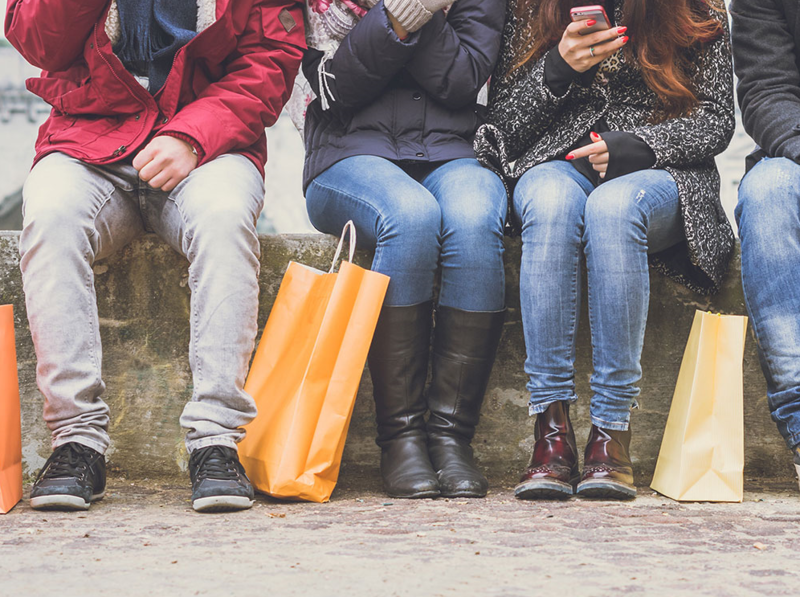 Push Confident Consumers In-Store—Focus on last-minute shoppers and leverage your publishers to drive in-store sales with code tracking, barcode tracking, card-linking, geo-targeted mobile placements, and ramp up creative. Harness Final Shipping Windows—Wednesday and Thursday, December 21 & 22 are the final days for expedited shipping. Target last-minute shoppers with a promotional window just for them and utilize countdown ads to create sense of urgency. Who, What, WHEN, Where—Take a good look at which channels are performing best for you and then utilize dayparting to deliver last minute messaging on top-converting hours/days. Search marketers should analyze hour of day/day of the week performance trends to understand when the likelihood of conversion is highest. Then, prioritize your search budget based on the top-converting time periods and reduce from lower converting periods. Stay tuned for more peak updates as Pepperjam studies this year’s shoppers to drive efficiency for our clients. Get in touch and partner with us to make these data points more actionable for you!